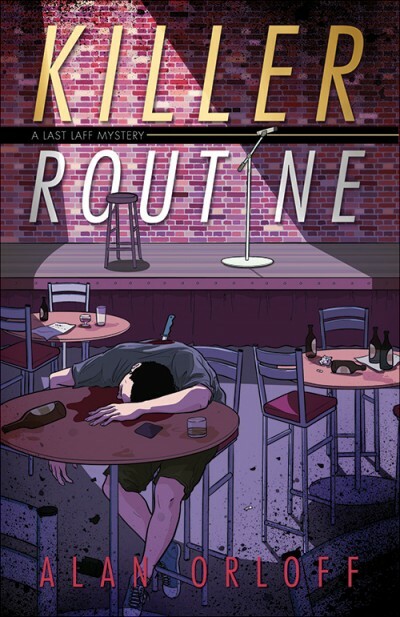 Even in the cynical world of stand-up comedy, murder is no laughing matter. Comedian Channing Hayes has survived a tragic auto accident that claimed the life of his fiancée Lauren. Physically scarred and emotionally crippled, he’s put his performing career on hold, resigned to getting his laughs vicariously as co-owner of The Last Laff Comedy Club. There, he schools Lauren’s sister Heather in the fine art of stand-up. During the club’s comedy showcase, Heather skips out on her set. No call, no note, no trail of breadcrumbs. Concerned, Channing searches for his AWOL protégée, clashing with her vindictive father, a rival club owner, and a gaggle of comic-wannabes—all while struggling to get his own life back on track. Heather’s ex-lovers start turning up dead, and it’s clear she’s running from something a lot more terrifying than a bad case of stage fright. After Channing learns some horrible truths, he must fight to save her—from herself, and from a man out to destroy them both.